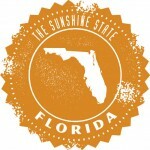 Update: Is This The Year Florida Recognizes Direct Primary Care? House Bill 37 (“HB 37”) passed the Florida House 116-0 today. In a hostile political environment, the unanimous vote in Florida’s more conservative chamber confirms what many in the direct primary care medical (“DPC”) space already believe: that DPC is not a political issue. HB 37’s virtually identical Senate counterpart, Senate Bill 132 (“SB 132”), is on that chamber’s “Second Reading” calendar, and also appears to be moving forward. If SB 132 is indeed approved in the coming weeks it will be sent to Governor Scott for his signature. The 2016 legislative session ends on March 11th. This one is going down to the wire.